Have you ever wondered what it might be like to be guest on a national television program? What if the day of the shoot happened to be the hottest day ever recorded in Sydney? Designbx’s Co-founder and Head of Interior Design had the chance to find out on Channel 9’s TodayExtra morning show. The producer and journalist, Suzanna Messara became interested in e-decorating after reading an article about Designbx in the Daily Telegraph. Kerena was invited to film an exclusive five minute segment to explain how eDecorating is becoming popular among design-savvy Aussies. Before we knew it, filming day had arrived. But, none of us would have imagined it would be the hottest day ever recorded in Sydney! We were thrilled to be a part of the TodayExtra show but also anxious about warnings of the grid being shut down due to the air con ramp-up! Our production crew, which consisted of cameraman, lighting technicians and journalists were worried their equipment would tip the electricity grid over. But after two hours of filming, our segment was ready for editing. 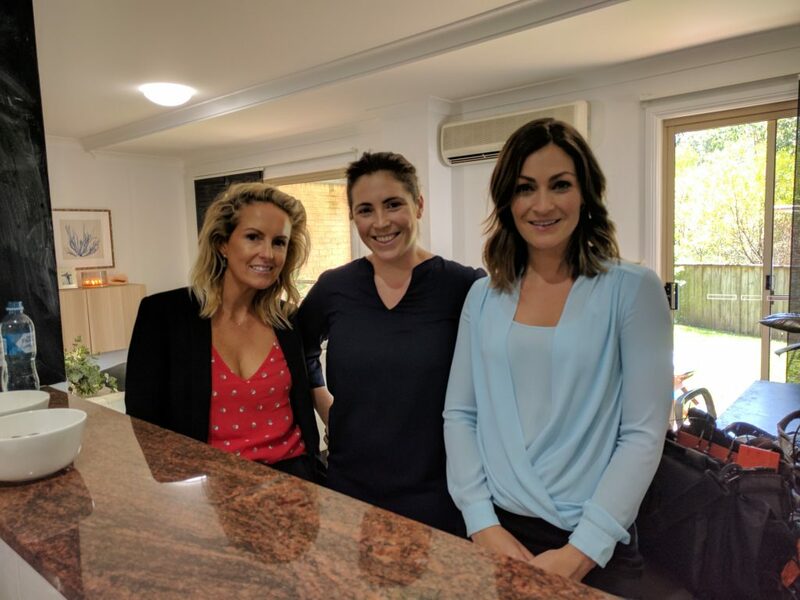 For this segment, Suzanna Messara was interested to talk to Kerena about what e-decorating is and how it can help everyday Australians who simply do not have the time or budget to make their homes a reflection of what they love. She was also eager to speak to our delighted client about their personal experience using our online interior design service. E-decorating is a way to connect with interior designers online and be guided through each phase of the decor process without the hassle of being face-to-face with a traditional interior designer. It all starts with completing the free Designbx style guide. Once you know your style you can submit a brief and images of a space. Your interior design project can then begin for as little as $299. Our client, Amanda agreed to be a part of the TodayExtra segment after her successful living room makeover with Designbx. With a business and a baby, having an interior designer come into her home didn’t suit her lifestyle. That’s why our online interior design service was a perfect solution. After submitting a brief and photos of her small living room to our team, she was given access to five amazing different living room design concepts from the country’s best interior designers. The final concept that Amanda chose was from a local interior designer, Donna Vercoe. They then worked together (online of course!) to add more pieces to the modern living room design. During this process, Amanda had time to consider a proposed idea for about a week. This would have been a different story if she was interacting face-to-face with her designer as she would have felt under pressure to make decisions quickly. The final design solution Amanda received included a floor plan and a shopping list with all our exclusive industry discounts! It also included some of her existing furniture, allowing the final living room design to stay within the budget. Designbx strives to make interior design accessible, fun and affordable for everyone in Australia through a 100% online interior dDesign solution. Designbx has a professional commercial interior design team that can assist in designing your dream home. Watch our segment for yourself to see the outcome of Amanda’s e-decorating experience.